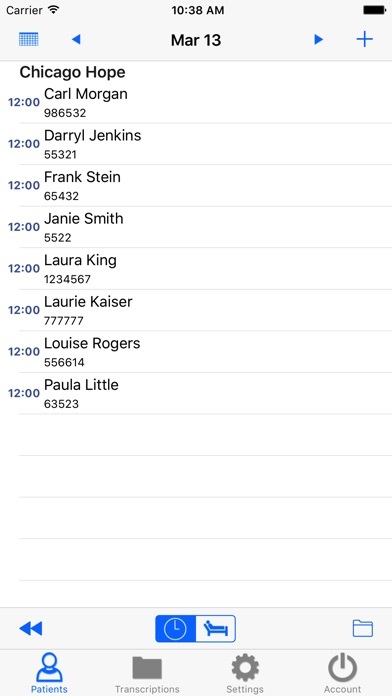 Latest revision is great (1.13): I can dictate easily from my iPhone; synchronized to our schedule program so a complete list of patients comes up each day, reasonably easy to both edit my dictations on the iPhone and to add our teaching attestation templates. Fantastic program! As a cardiologist seeing 25 to 30 patients a day it's great to be able to just dictate into my phone. We have a transcription service that pastes our hp/ap right into our emr shell. This app needs the ability to edit letters. Not just view and complete. Otherwise, it is next to useless for me. The good: I like being able to do my dictations with my phone or iPad. I like the piecemeal uploading of each file, and the visual feedback that you get when the dictation is done or uploaded. The bad: The iPad app layout is poor. There is a ton of wasted space at the bottom of the screen. The slider bar, hold button, "upload" button, and Record and Stop buttons are too close together, resulting in frequent mis-hits. 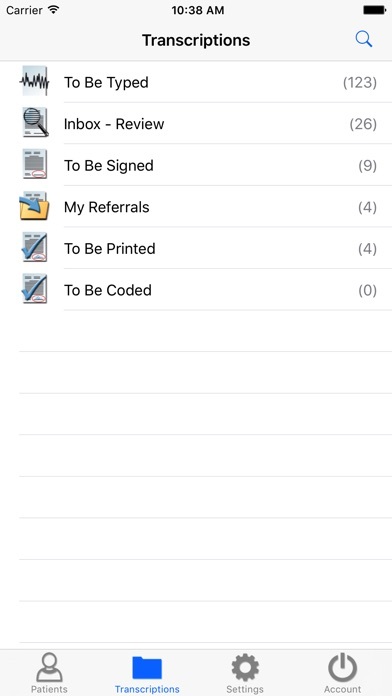 Suggestion: utilize the full screen of the iPad and make LARGE areas of the screen for starting or stopping dictation The app crashes frequently when moving between days on the schedule. 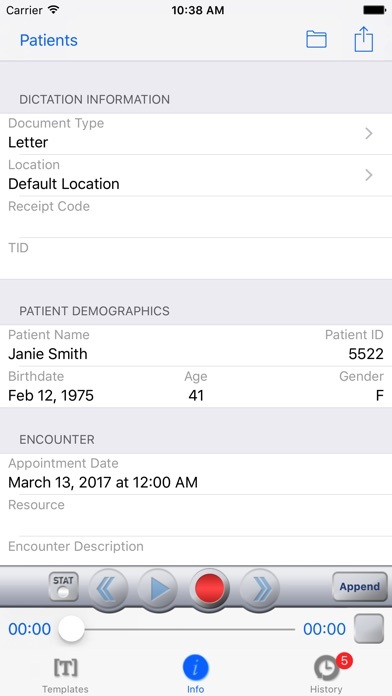 If using the iPhone AND iPad apps, would be nice if the dictations sync'd between them, so you don't inadvertantly dictate the same patient on both devices. The ability to use a bluetooth headset with this app would be cool, but likely it's an Apple limitation, not EMDAT's fault. I find this app pointless since I can't find a way to edit my dictations. I don't want to just "complete" them I want to be able to edit them first. Without being able to do this I still need my laptop so there is no point to this app. If I am missing the boat and there is a way to edit, PLEASE LET ME KNOW as I would love to be able to do this. This app is awesome in it's simplistic design and practical efficiency. Highly recommended. Excellent app. Extremely handy. See this being a time saver.